Employer branding films are more important than ever to get right and showcase what makes your organisation different as a place to work. 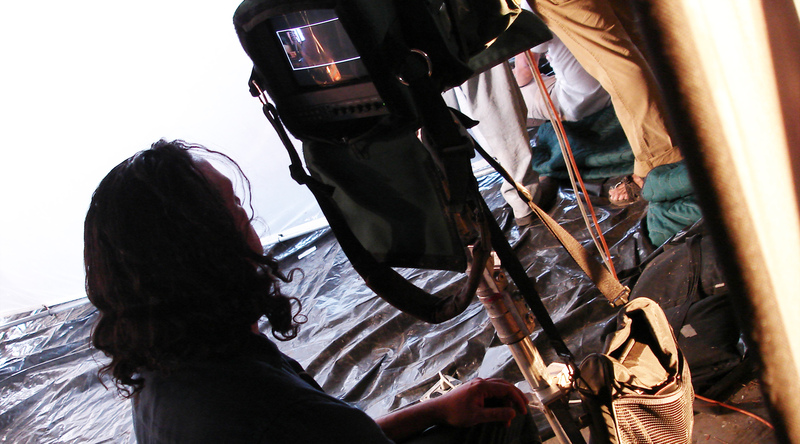 These are our top 10 tips to consider when using video and film. The key to the success of the production is the understanding of the subject. Knowing how to approach it, how it will be used and the key points of interest to identify and show the audience. It pays to work with people who understand the subject. They will know what an organisation is trying to achieve quickly and will be as driven by the content and interest in the people and their work as the art of producing a film. Due to production costs and the production process, it used to be the case that a video would be commissioned for one particular purpose and then distributed. Particularly, if you go back to the days of physical distribution – such as a DVD. Organisations are taking a look at how they use film from the very outset and edit a variety of content that can be utilised with different audiences. I have worked with clients where we might spend a week filming, but have edited various versions for teaser campaigns, recruitment through to induction, onboarding and employee engagement work. It is a cleverer and more efficient way of producing film and also ensures that the branding and values that the employee experiences are consistent and inline with the EVP. Whilst this might appear to be obvious never under estimate the pre-production in planning and the post-production for editing and approvals. The film shoot might take a day, but pre-production will be at least twice that and editing can vary enormously depending on whether it is a structured storyboard, documentary style unscripted (takes a lot longer but more natural results) or requires significant amounts of grading or effects. Also, consider the file outputs and distribution which should have been agreed in advance. Transcoding into suitable files can take hours – so when you ask to make that small change bear in mind the knock on effects it can have. Employer Branding was first presented as a concept at the CIPD conference in Harrogate in 1990. The principles then are still relevant today , but it was a world before the internet, social media and the technology we now have at our disposal. To produce a film as part of any employer brand communication and management and then distribute it to the right audience was a challenge then let alone expensive, but we can and should be cleverer about how we communicate to potential candidates and employees. Film is an incredibly rich media that allows us to reflect an organisation’s values, culture and fit with more purpose than ever before. We all want to be valued and film provides the opportunity to show where this value sits within an organisation. It’s about the value to the individual, its value to the organisation and ultimately how the organisation demonstrates its value and recognition towards its employees. An organisation first needs to identify and understand its Employer Value Proposition. When it comes to communicating this through film it runs deep into the fundamental principle of why someone should do the job they do and ultimately who they choose to work for. We did a project with an NHS Trust who needed to improve staff retention in the first 3 to 6 months of employment – a critical time for most organisations. The induction process was very much focused on the practical side, but what it lacked was helping a broad range of new recruits (including both medical staff and support staff) to feel engaged with the broader picture of what the hospital is there to do and the role that everyone has to play. We know why a hospital exists, but if you’ve just come from working in a shop to working in a support role in a hospital it is important to know how your role fits within the wider context of the organisation and demonstrate its value. The film resulted in measurable returns with a double figure improvement in retention in the first six months and significant returns on investment. If we think of our favourite films we often talk about how they make us feel. This is important to think about as both a recruiter and employer. Emotion plays a big role in our decision making and we can engage with candidates and employees on another level if we can affect positively how they feel. This is why film should play an integral role in employer branding. Technology has made production of video and its distribution much more accessible to organisations that previously would not have had the budget for a full production piece. But there are some important basics to get right to do the content justice. Few people will comment on good sound, but most will notice bad. Danny Boyle is quoted as saying that 70% of film is sound. You can address something that visually isn’t perfect, but you can’t disguise bad sound. Most people won’t notice a cut in an edit as if they do it’s generally a bad cut. And someone that comes across as relaxed and natural may have been completely the opposite for the first 15 minutes of the interview, but it’s enabling an environment that elicits the natural and most pertinent responses that give the film impact and engage with the audience. The editing requires not only a knowledge of the subject and an understanding of the themes and objectives for the film, but a technical ability to construct this into a seamless output. These two aspects of editing may sometimes require different skillsets. All of these elements require skill and knowledge of the subject and result in a stronger end product.